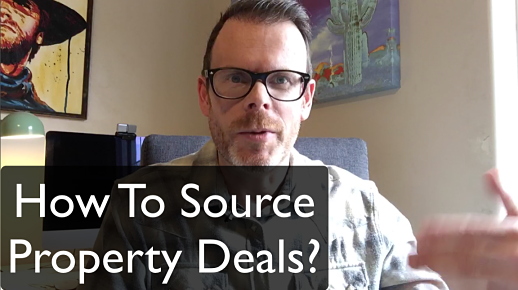 In these videos, I give a quick introduction to the awesome strategy that is property sourcing, and also talk about my favourite way to go about sourcing property deals. You can delve deeper into this topic via the links in the index section at the bottom of this page. In this video, I give an introduction to the versatile, and very profitable, Property Sourcing strategy. 0:15 - What is property deal sourcing? 0:50 - What kind of deals can you source? 1:35 - How do you do property sourcing? 2:05 - How much can you earn deal sourcing? 2:36 - Who can your deal sourcing clients be? John Wilson here from Property Investment Blueprint and today I want to talk about property sourcing. So first of all, what is property sourcing? Well, simply put it's just a case of you are sourcing property for profit. Now you could be sourcing property in the UK for yourself, in which case, you're just going to buy the property or do the deals yourself. But in a lot of cases people will do deal sourcing for clients. And so in that case you're doing it for other people and in many cases that can be called deal packaging as well. So what kind of deals can you source? Well that can be any kind of property deal at all and that could include, but not be limited to: buy to let deals, rent to rent deals, lease option deals, HMOs, refurbishment deals or development projects like a flip for example, serviced accommodation or even land deals. You could source a piece of land for a developer, that they would then build houses or flats on. So how do you find the deals when you are property sourcing? Well, you can use a combination of personal networking and marketing / advertising or as I say, a combination of the of the two. Obviously your marketing can be either offline or online. Now, if you are property deal sourcing for a client then there's a fee. What can you earn? What can you earn property sourcing? The fee for a client can be anything from a couple of thousand pounds, all the way up to tens of thousands of pounds. 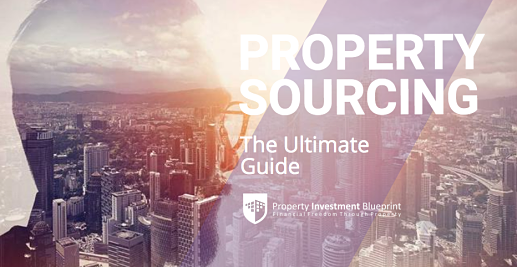 So at the lower end you're likely sourcing just a single property, and at the higher end, you could be sourcing a whole portfolio of properties, or a larger development deal, or perhaps a larger land deal. And who can your property deal sourcing clients be? Well, they could be residential clients. So you could be sourcing a property for say a first time buyer. Some properties are more and depending on the deal and the discount. Some may be more appropriate for a first time buyer than an investor. The other avenue is obviously investors, and you've got different levels of investors as well. You could be property sourcing for investors who are experienced, in which case that investor would generally only want to use your service for purchasing the property. Whereas, at the other end, like armchair type investor may look to have you give them a full service, including sourcing, tenanting the property and other things like that, you know, putting a tenant in, managing the property, perhaps even things like that, so it can it can vary. And then there's a property sourcing mistake that sometimes newbies will make with deal sourcing, is that they believe that once you source the deal, that's the end of the story. Well, that's really just the beginning of the story, because in order to get your fee and make sure that it's a successful deal for everyone concerned, you have to be on top of managing all the parties involved. So your seller, your buyer, solicitors, agents, and any other professionals involved in the deal as well. You need to be managing and pushing pushing the deal through to conclusion, to make sure you get it over the line and you get your fee, and your client's happy, your seller's happy and and everyone's happy. So yeah, that's it for BMV property sourcing today. And if you'd like to learn more about deal sourcing and how to consistently source heavily discounted deals, then check out our free property course at freepropertytraining.co.uk and that's it for now. I'll see you next time. John Wilson here from Property Investment Blueprint and today I want to talk about how to source property deals. Now for me, the very best way to source property deals is to go direct to motivated sellers. And the reason for this is that if you go direct to the sellers, then you're going to have far less competition. If you go through an agent, you will be up against other investors. You'll be up against home buyers. So if you're going direct to the seller, then you cut out the competition. And if you deal with motivated sellers -- motivated sellers are people who need to sell, not people who would just "like to sell"; they need to sell for whatever reason. They value other things over price. So they value speed of sale, they value assurance of sale. They value confidentiality. They value these things over price, so by being able to give them a quick sale, you're giving them a service that an estate agent just can't provide. And that way you're creating a win-win solution. So in terms of reaching these motivated sellers, how do you do that? For me, the quickest and easiest way is by using "guerrilla marketing". Guerrilla marketing is a concept that was first coined by Jay Conrad Levinson in his book that came out in the 80s, really about showing small businesses how they can use low-cost marketing methods to reach their customers and grow their business. So what would be examples of that? It would be things like signs, leaflets, stickers, business cards, there's any number of different ways of doing that. But yeah low budget ways to reach those motivated sellers. And it often works because it's not slick like some, you know, big businesses or estate agents might do, and because it's not slick it stands out from the crowd. But it's important that you test your marketing methods have a varied marketing plan because if you test one thing; for example, if you test flyers once and it didn't work, then that could be because one you won't consistent, you know, if you're using flyers you need to really do it consistently over a period of three or four months before you're really going to get a response. You might be lucky and get a response sooner but it requires persistence and also testing different types of flyers. You know, one neighbourhood might prefer a kind of less polished presentation on the flyer, whereas other neighbourhoods may need to see something a bit more polished to get a response. So yeah, that's about all I'm going to say about that today. If you want to know more about how to Source property deals then by all means join our free course, which is available when you sign up for our newsletter at freepropertytraining.co.uk. That's freepropertytraining.co.uk, or possibly via a link near or underneath this video. So that's it for today for today. Thanks for watching. See you next time. How To Find Investors To Buy Your Deals? If you're Deal Sourcing or Deal Packaging, then often the biggest challenge is not how to find the deals, but how to find investors to buy your deals! I cover one great way of doing just that, in this video. If you don't have the time or inclination to source property yourself, then why not let us do it for you? Whatever your investment goals, we have done for you investments to suit. In this video, I look at the the three-step workflow that you need to use to find discounted property. I look at how, if you don't have much money to invest (or if you simply want an outlet for unwanted deals), you can "package" those deals to other investors for healthy fees. Discover our property sourcing course -- most people can't actually believe the value that's packed inside here for the price!